Cockeyed Caravan: Get My Book! I was sitting on the big cover reveal for a while, but to my surprise the book just went up on Amazon, so here we go! What do you think? I mostly like it. This also means that you can now order the book! UPDATE: You can now also order the audiobook from Recorded Books! The book was also announced on Galley Cat, and they actually did some journalism, looking up the blog to write about the crowdsourcing we’ve been doing for the last two weeks. I want to thank you all again for all your help so far and especially thank those of you who pre-order the book. I’ve always taken a lot of pride in the fact that I give my ideas away for free, and it’s embarrassing to me to ask anybody to pay for them, but the time has come. Allow me to reassure long-time blog readers that there’s a ton of new material in the book that is never-before-seen. It started out years ago as a collection of blog posts, but then it was totally rewritten to be something that feels wholly new. The centerpiece of the book is the 13 Laws of Storytelling, for instance, which is a category which has never appeared here. So please pre-order, then please come back so we can keep crowdsourcing this week! Done! Thanks for all your hard work. Definitely ordering... And I would pay for the book even if there were nothing new in it. Your blog is such a great resource. Hi Matt, Congratulations...I will be recommending this book to many people! Awesome! I know everything in the book is in the blog, but I want the paper version. Funny how the idea for this book has been mentioned in old posts... I guess you knew it! Hi! Matt your book is EXCELLENT!! I have been struggling to figure out if my story ideas are worth bothering to put into comic format. It's a ton of work to do so and I want it to be worth the effort. Your checklist showed me I've got 91 of 122 things right on my one story which is right at your target (90) for a strong story. This has got me working with gusto. Thank you! If this book is not in your toolbox, then you're not ready to tackle your novel. Matt has written some confronting challenges to a range of too-familiar artistic sensibilities, but done so in such a way that I feel like I have a coach sitting near me, encouraging me to keep on mining my ideas. His keen deconstructions about good storytelling will have authors agreeing just enough to reconsider points of advice that don't settle in as comfortably. 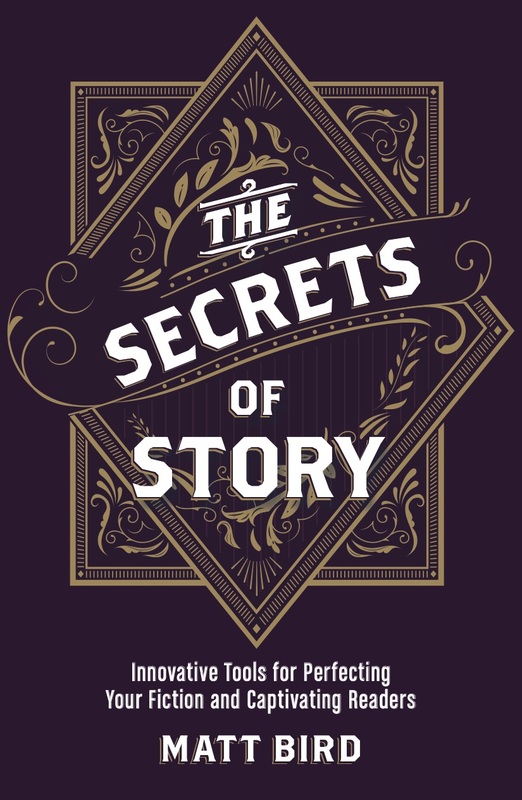 From someone who's dedicated so much of his life's work to helping other authors, Matthew Bird's Secrets of Story will take pride of place on the bookshelf near your writing nook.